We’ve got a new addition to the tech up in the projection booth. With the help of this little device, and some ear-bud’s, a hard-of-hearing patron can enjoy the movie a bit better. 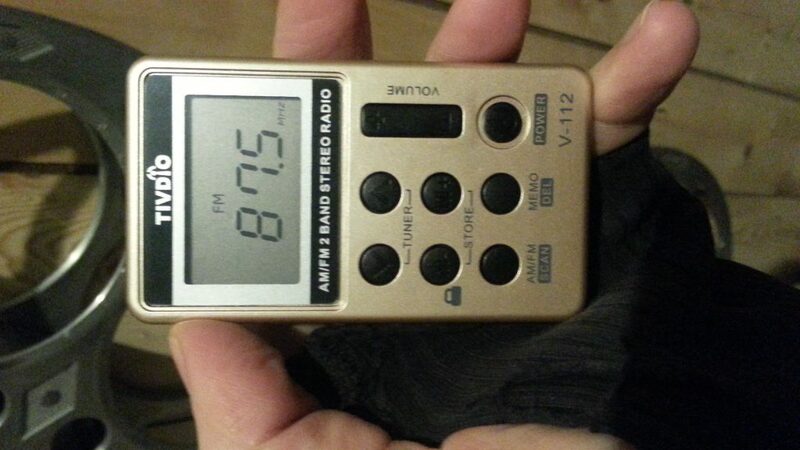 Even easier, if you have fm radio on your cell phone…or, just an actual old school pocket radio even…set it to 87.5, and you’re good to go! I would love to try this out with my hearing aid. I think my extra fm device that has a regular audio jack should plug into it and then it would stream right into my hearing aid. Can I try sometime when you aren’t terribly swamped? Might be a little bit difficult, as there’s not usually someone in before movie screening times. Maybe drop by sometime during a movie, we can give you a device, and you can test it out for a few minutes? This is a great service for the community and patrons! Thank you.